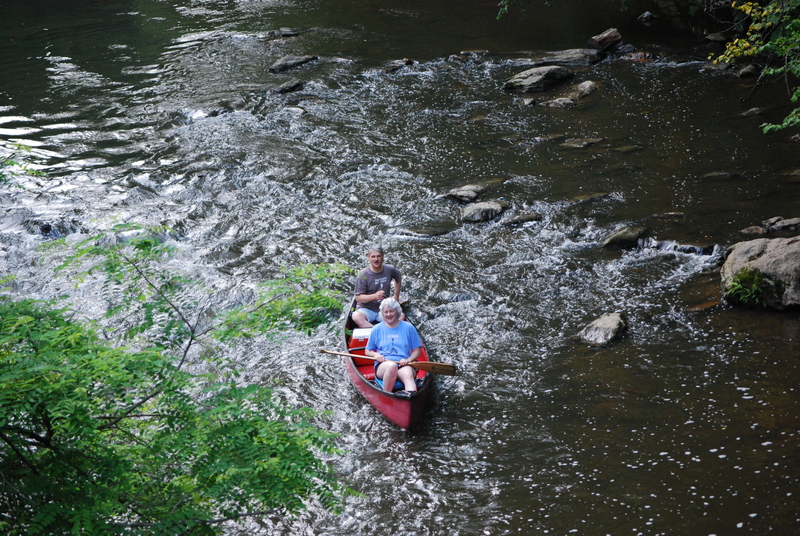 A couple canoeing along the Wissahickon Creek enjoys the calm before the storm. 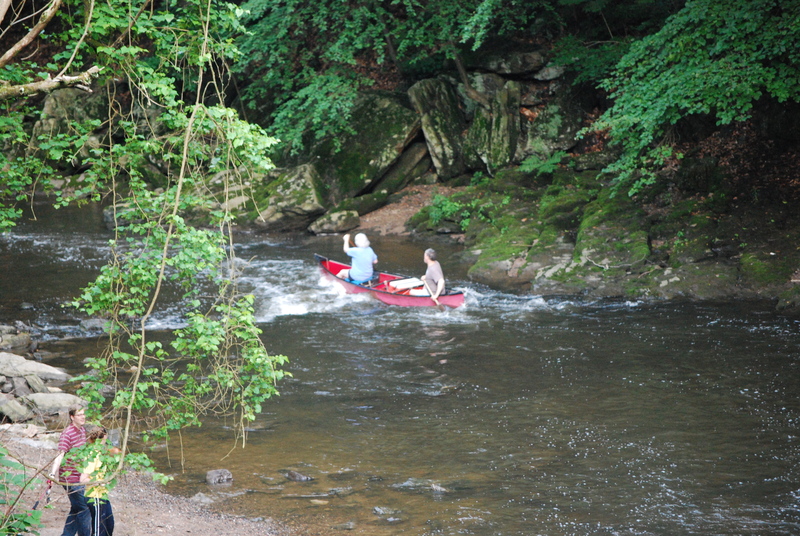 As the creek narrows and winds, the current picks up, and this couple must paddle clear of running ground. 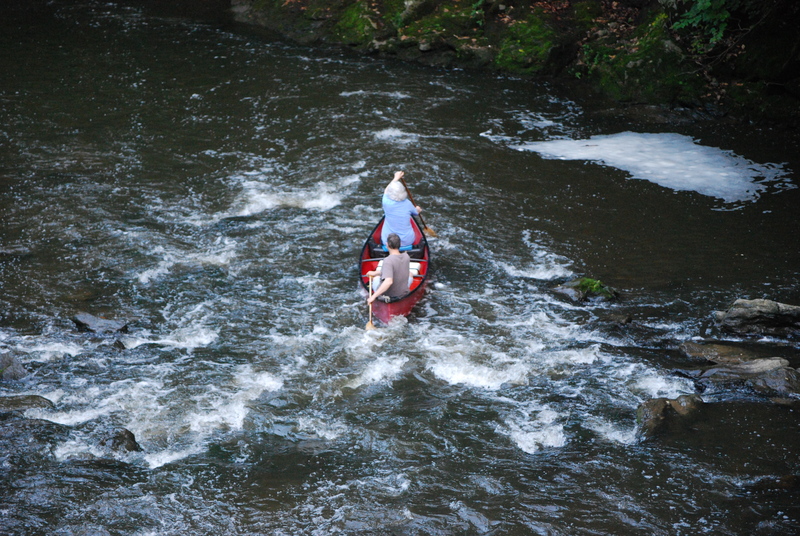 Canoeing adventurers catch their breath after navigating the first series of strong currents along the Wissahickon Creek. 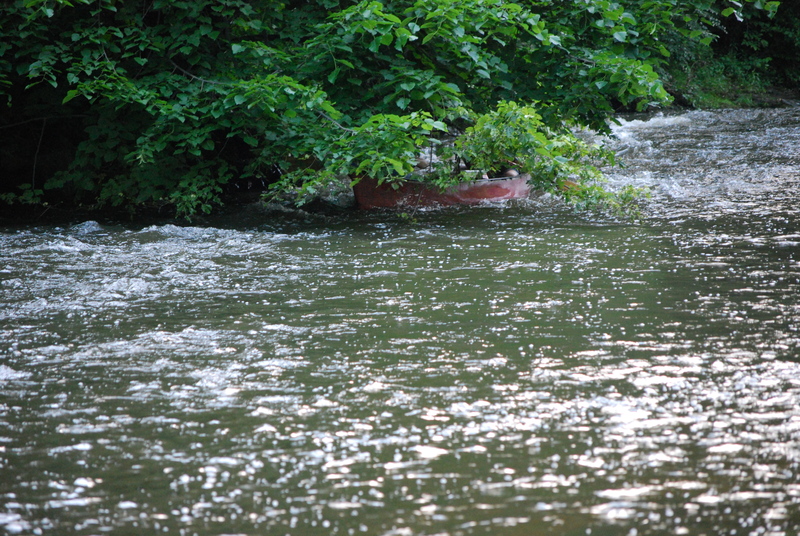 Don’t look now, but this canoe has drifted into another obstacle- low head clearance. 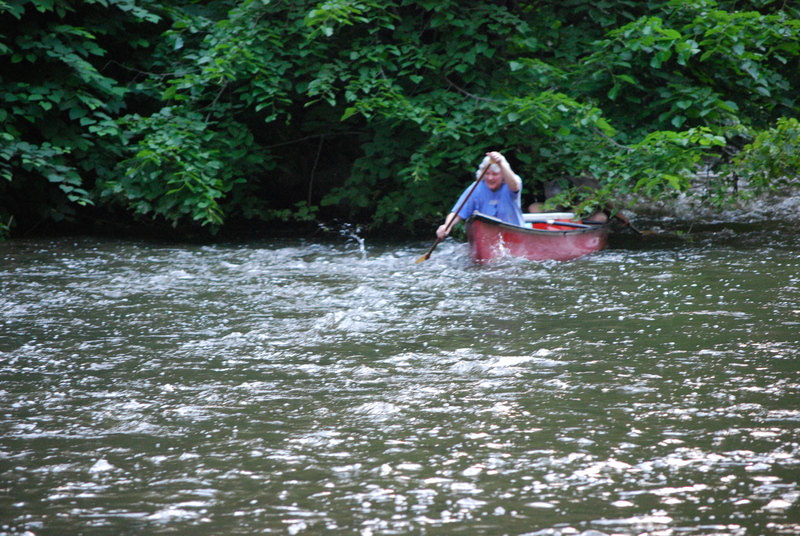 These people paddle there way clear of the shore line and low hanging trees along the Wissahickon. 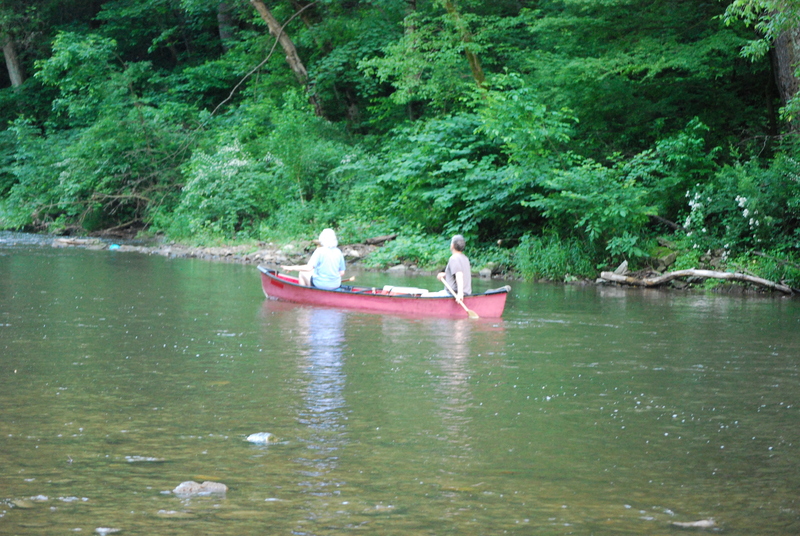 Having cleared the low hanging trees and running a ground, these two are glad to be back in control of their canoe. 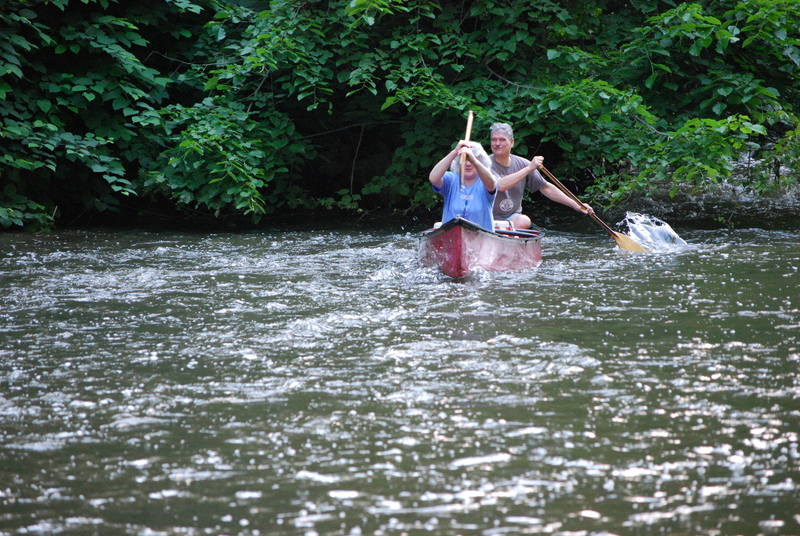 That was a fun canoe adventure.